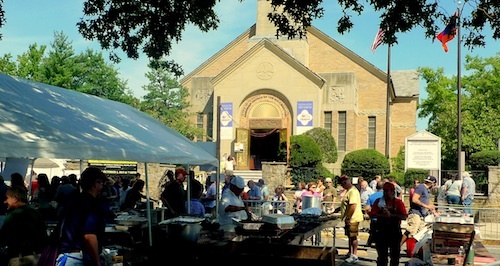 For 55 years now, the Armenian Church of the Holy Martyrs on the southern edge of Bayside has been having its quaint fundraiser right outside the church on Oceania Street. A large tent houses all the food on offer, with grills making everyone nearby smell like kebabs by the time they leave. The grounds on this beautiful September are less loud and greasy than a normal street parade. 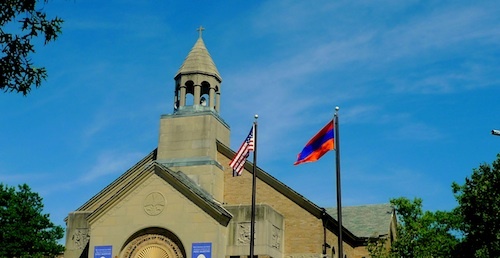 The church has a few vendors selling Armenian gifts and souvenirs, as well as a desserts tent to go along with the meals. Two very large tents for seating are constructed in the middle, and that is where everyone is hanging out, during and after their lunch. 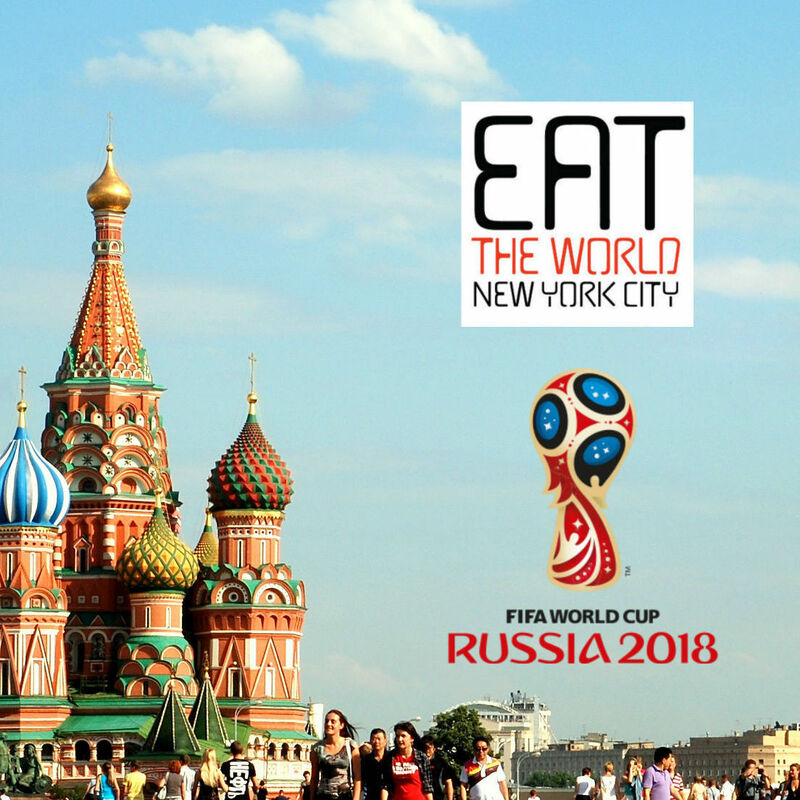 This is where New York City accents, Queens lives, and Armenian descent all intersect. The name of the game at the tent seemed to be kebabs, as the multiple grills would attest. Unfortunately they only sold them as a $15 platter of two kebabs with sides of rice pilaf and grilled vegetables. I wanted to try an assortment of items, and my plea to buy just one kebab a la carte was denied. Instead, I let my clothes take in as much smoke as I could and inhaled the kebab platter, opting instead to purchase a variety of smaller things to sample. 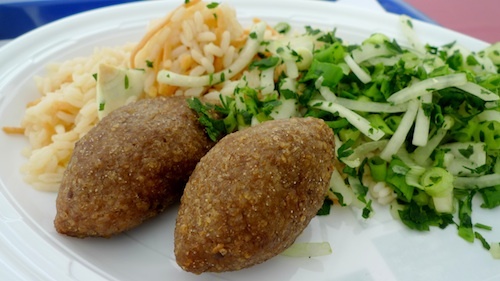 The kharpert kufte ($5, below) bills itself as Armenian stuffed meatballs and screamed out to be tried. When at first I was given two of the tiny creatures on my large plate, I frowned and asked if that was all. Fortunately these two little guys opened up the opportunity to sample from the platter dishes though, and I heaped on some pilaf and onions to keep them company. Once open, the doughy exterior revealed ground beef and a couple random pine nuts. The meat was intensely spiced, and needed to be given the small size of the meatball. These are very good, and I could have eaten about twenty if I happened to find a $100 bill on the street. 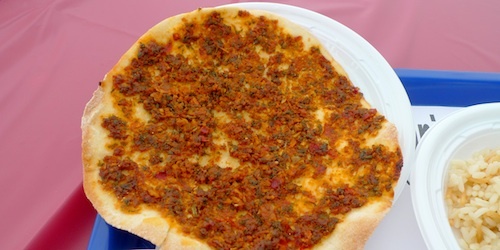 The lahmajun ($3, below) is a thin lamb pie with very mild spicing. I found it a far cry from its much tastier Turkish brother, and rather bland. Unfortunately it did not help that the thing also seemed stale. While not quite as tasty as the meatballs, the most fun of my lunch came while eating the dolma ($5, below), a meatless dish consisting of pilaf and spices stuffed into a green pepper. I cut it open and started eating, to realize that the dish is served cold, somewhat of a surprise. It still felt festive though, and a man even approached me coveting mine, despite the fact that they were readily available. The consistency and spicing of the pilaf reminded me a lot of oatmeal and I swear I could even taste cinnamon. By the end of it, the dish had really grown on me. The 2013 festival took place on Saturday, the 7th of September.